Ever since 1880, the American game had been played eleven-a-side. Burnside suggested Canada fielded twelve. Perhaps teams of eleven would have made it too laughingly obvious that he was not far short of suggesting a wholesale imitation of the game that was going down a storm in the States. 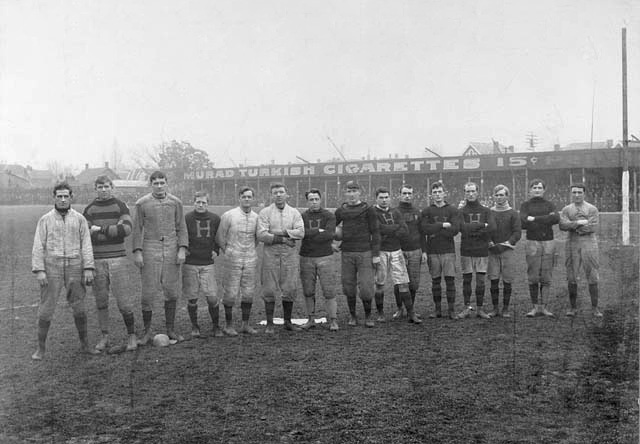 The lack of unity made it easier for American innovations, from the snap to downs-to-go, to gradually find their way in differing measures into what the Canadians were still calling rugby. And just as Ontario and Quebec looked to be settling their differences, a new division emerged between the eastern clubs and the newer ones emerging in the west. Not even when the Grey Cup was instigated in 1909 was there anything remotely resembling a standard code of Canadian football. Eventually most American innovations, including the forward pass, found their way north, but there was never a wholesale importation of the American code, meaning that several quirks of history remain in the CFL. To read the full story, order your copy of the Same Old Game! Posted on November 15, 2011, in Uncategorized and tagged earl grey, frank shaugnessey, rouges, thrift burnside, western canadian rugby football union. Bookmark the permalink. Leave a comment.